Numerous entrepreneurs and executives from the hospitality industry converged at the grounds of the HORECA 2019. The influx of professionals from the Hotel and Foodservice sectors was also marked by their quality, a fact that did not escape the exhibitors who remained optimistic for new and lucrative business deals. Right from the very first day, the 14th HORECA consolidated its reputation as the leading trade show in Greece for the Hospitality and Foodservice sector, while promising four days full of trade contacts, exchange of ideas, and information on all the latest trends, breaking all its previous records. 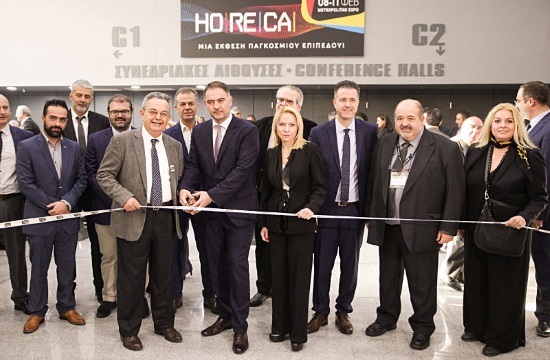 Representatives from the entire entrepreneurial and political spectrum as well as members of the Tourism institutional bodies, were present in full force at the opening ceremony of the HORECA trade show. Furthermore, the turnout at the annual General Assembly of the Hellenic Chamber of Hotels, hosted for the 8th consecutive year at HORECA 2019, was the highest ever recorded.